According to a recent FICCI report, the Indian animation & VFX industry is growing in excess of 20%. Animation, now itself a full-fledged industry, is no longer on the sidelines of the Indian M&E industry. There has been a lot of talk about how Millenials are the decision makers in all things media and content. In all this talk, a very influential group is being ignored. We witnessed a shift in the decision-making process of choosing and consuming content on linear and non-linear platforms. These decisions are now heavily influenced by the kids in the family. One can witness the proliferation of both linear and nonlinear channels. With a plethora of great content on both TV and OTT, we now see a world where consumers are spoilt for choice. There are dedicated independent kids’ platforms coming up. Even Amazon Prime Video and Netflix have an affinity towards kids’ content. There is a dedicated YouTube Kids’ app now which goes by the same name. When it comes to kids’ content, animation takes the cake. The Indian animation industry has grown rapidly in the last 5 years. According to a recent FICCI report, the Indian animation & VFX industry is growing in excess of 20%. Animation, now itself a full-fledged industry, is no longer on the sidelines of the Indian M&E industry. The growth is akin to the Indian IT industry 10 years back. Small time studios have grown to become large brands. 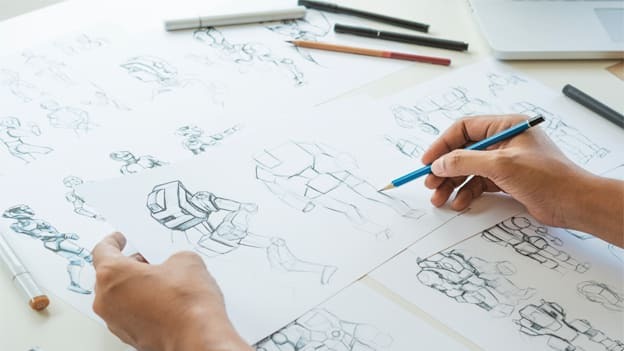 Animation is a mix of creativity and technology and has evolved in terms of software used, automation to speed up the process and cut down on duplication of work. With these changes in the way animation is produced, the challenge is also to get high skilled resources. Today, the demand for some of the technical skill sets like animation, rigging, and dynamics etc. is rapidly increasing. Animation training institutes are also trying to cope up and match the demand. Large studios have set up their own training facility to ensure that freshers go through a quick crash course and become productive instantly. Here attrition becomes a challenge for the trainers. Bigger studios are more than willing to invest in these trained resources. There is a huge demand for them and very lucrative packages are offered. A major advantage of choosing a career in animation is the fact that it is easy to train interested youngsters. Entry into the field only requires an aptitude in sketching, drawing, and basic knowledge of computers. Another aspect that has increased the demand is international broadcasters approaching India to produce shows and movies. IT projects have for long been outsourced to India. Animation industry is witnessing a similar pattern. Such arrangements have proved mutually beneficial. International producers and broadcasters get the requisite technical skills and speed of production in India. Indian studios benefit from the knowledge transfer, enabling them to raise the bar with respect to animation quality and creativity. Take for example, movies like Avengers and Transformers. These have significantly raised the audiences’ expectations of quality. Similar standards need to be set in India. We have the artists and creative resources, we only need to be abreast with the latest technology. The animation industry in India has a very lucrative present and a shining future. No surprises then that huge investments are flowing in. Government initiatives are also coming up in this field. Telangana has its very own animation, visual effects and gaming organization, TVAGA. TVAGA (Telangana VFX, Animation and Gaming Association), is a nonprofit association, formed and led by a team of well-known CEOs, founders, and academicians of visual effects, animation, and gaming industry in India. There are massive plans to create infrastructure for the animation industry and the government is willing to offer subsides to companies to create new jobs. With the animation landscape looking so positive, youngsters and parents should consider this a serious career option. The pay-offs are unmatchable. Mr Ashutosh Tipnis is the HR director at Cosmos Maya.